And the winner of the Vintage Inspired Cupcake Carrier Tin givaway from Breezy’s is….HaDassah Sabo Milner! Congrats HaDassah and thanks to everyone who participated. 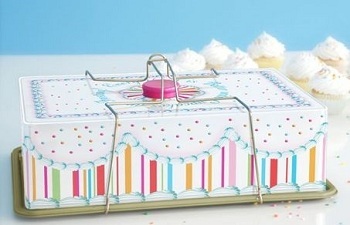 One person will win this vintage inspired Cupcake Carrier Tin from Breezy’s. Winner will be announced on Monday, December 5th. For a chance to win, click here to ‘like’ Kitchen Tested on Facebook. For a second entry in the contest, click here to ‘like’ Breezy’s on Facebook. To be entered, please let me know in the comments below, or on Facebook, once you’ve LIKED! Receive a bonus entry by subscribing to Kitchen Tested. If you are subscribed or already ‘like’ KT and Breezy’s on Facebook, you will automatically be entered in to the drawing. Good luck! Open to U.S. Residents only. Whenever I need cookie cutters, silicon molds, colored sugar or any other baking accessories, my first and only stop is Breezy’s in Long Island. 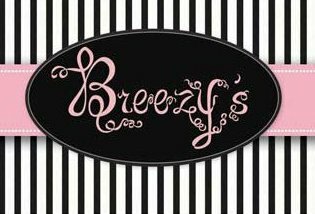 Founded by Brielle ‘Breezy’ Schwartz and Heidi Schwartz, Breezy’s is a high-end housewares and giftware store that also offers a full line of bakeware, decorating accessories and educational material. Recently, Breezy posted a poll on Facebook asking fans to choose which flavored pastry fillings they would like in the store. 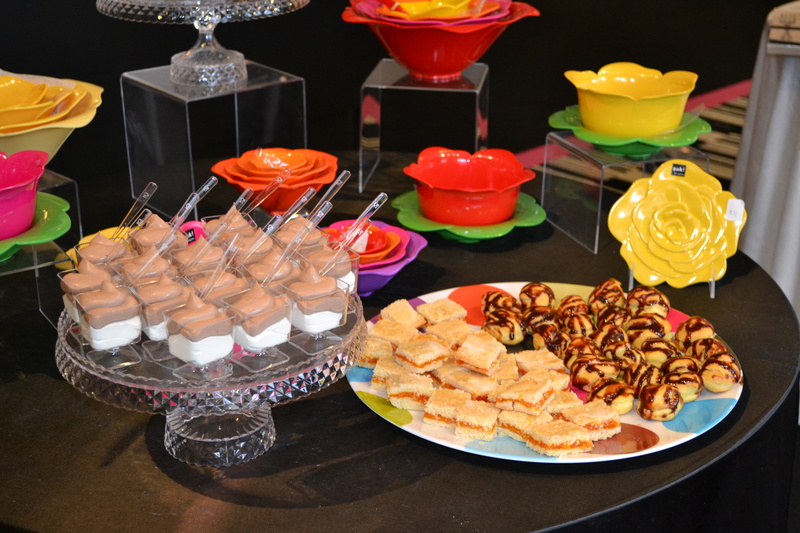 The choices included Bavarian Cream, Banana Cream, Apple, Peach, and Apricot. Yum! I wish I could choose them all! Well, Breezy’s asked me if I would try out a few of the new flavors in my own test kitchen and I was more than happy to oblige! I baked with the Bavarian Cream, Apricot, and Chocolate Bavarian Cream fillings, and Breezy’s offered them as a tasting for their customers and fans in the store. 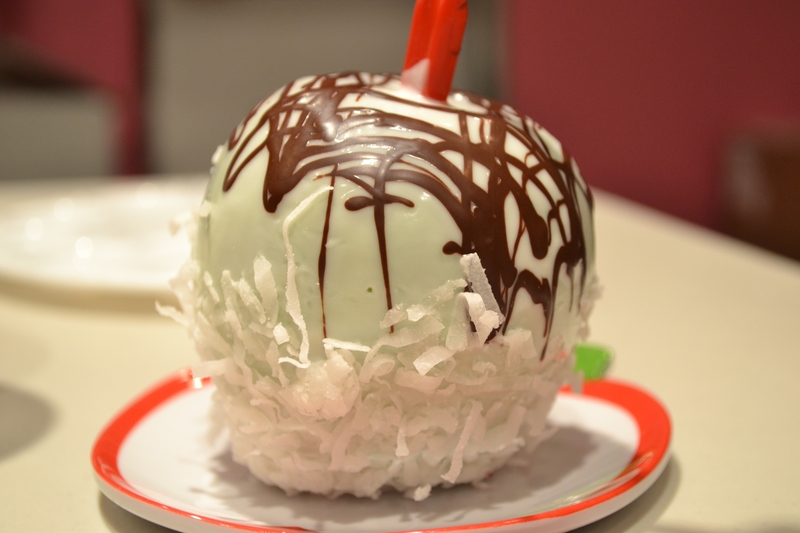 I hope everyone enjoyed my desserts and shopped around in Breezy’s! 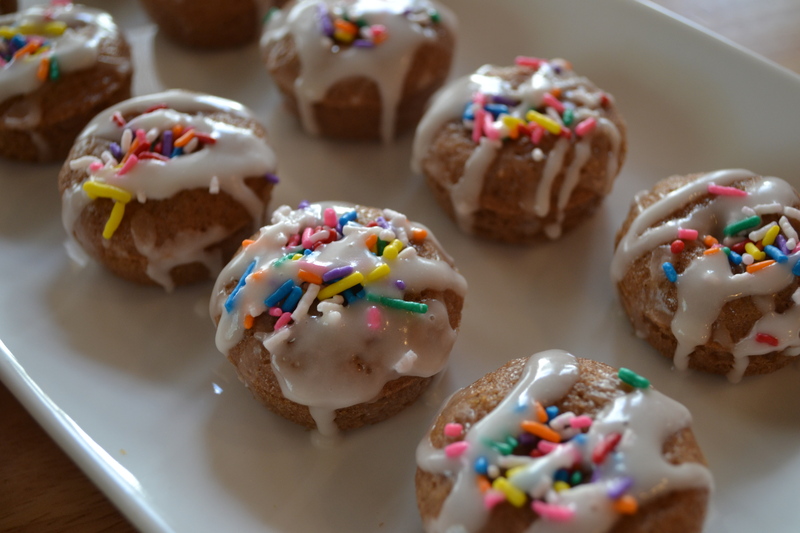 I’ve provided the recipes below so you can recreate them in your own kitchen using Breezy’s new pastry fillings! So if you’re ever walking on Central Avenue in Cedarhurst, don’t forget to stop by Breezy’s to say hi and pick up something special for yourself! Raise your hand if you ever really stick to your shopping list! Yeah, I didn’t think so. Neither do I. 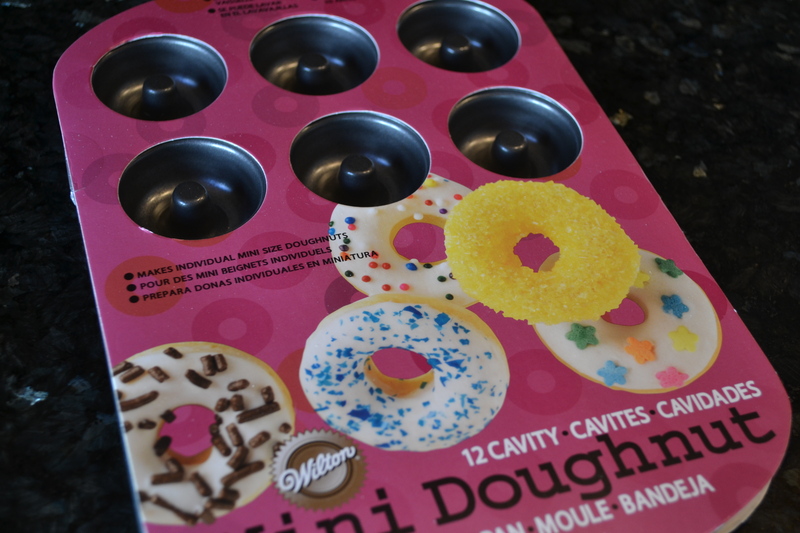 So while on a shopping trip at Bed Bath & Beyond, I happened upon a mini doughnut pan by Wilton and bought two! I mean, each pan only makes twelve mini doughnuts and I knew I would want more that. Are you laughing now? 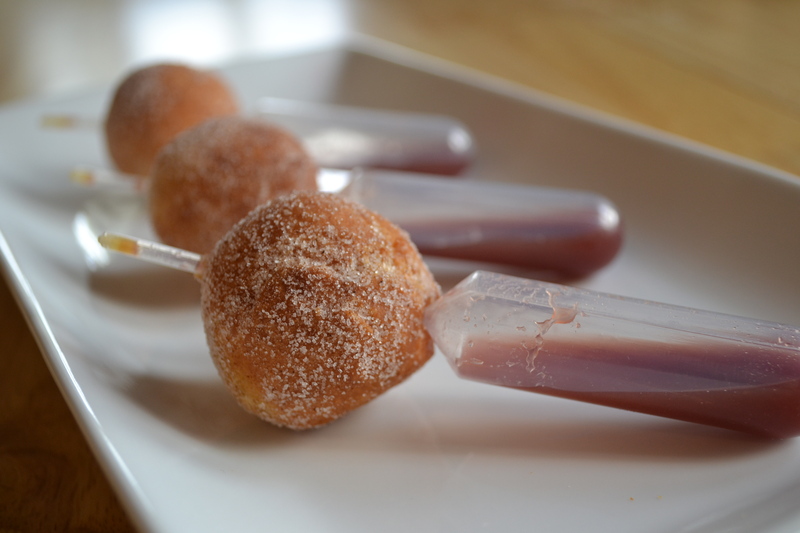 I put the pans aside for the right moment and it came when my three-year-old randomly asked for chocolate doughnuts.